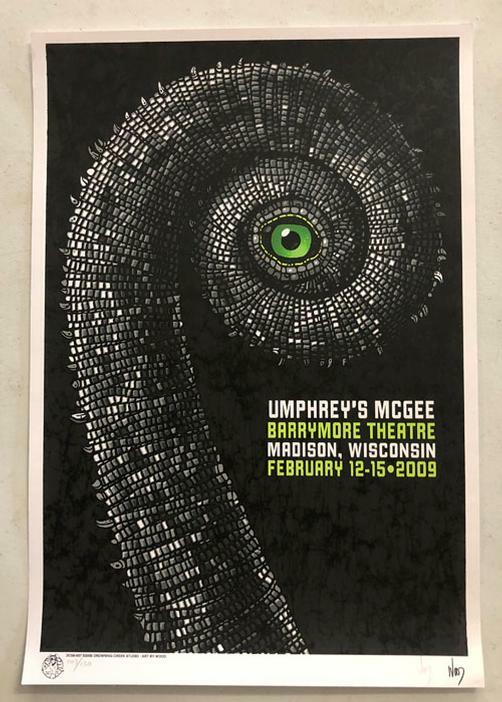 Original silkscreen concert poster for Umphrey's McGee at The Barrymore Theatre in Madison, WI in 2009. 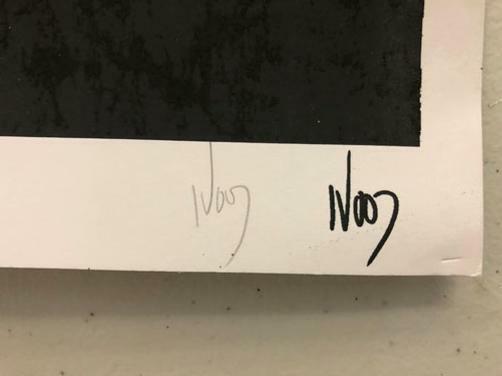 15 x 22 inches. 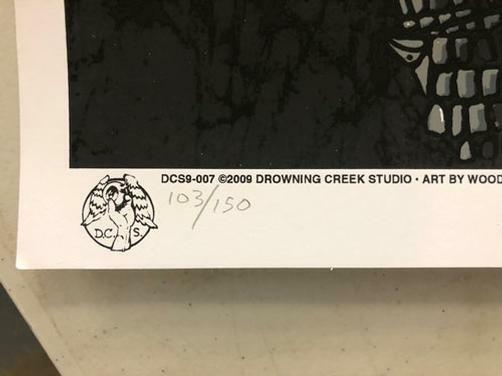 Signed and numbered 103/150 by the artist Jeff Wood.